Ferenc Acs, better known as 'Shastra' is a student of Vedic sciences under the guidance of bona-fide and venerable teachers of India. He has been a grand disciple of A.C. Bhaktivedanta Swami Prabhupada since 1982. He was born in Hungary in 1961 and has studied engineering in Szekesfehervar, Hungary. In 1980, he settled in Australia and continued studies in Vedic sciences. He was initiated into 'Vaishnava' tradition and accredited as a 'Brahmin priest' (a Vedic monk) by an authorized spiritual master in the line of 'Brahma-Madhva-Gaudiya-Sampradaya' (an ancient lineage of Vedic teachers since time immemorial). Shastra was employed as a Brahmin priest for ISKCON Incorporated between 1982 and 2003. (ISKCON Inc. is an international non-profit organization based on traditional Vedic principles and spiritual values - dedicated to social humanitarian services and to the propagation of transcendental knowledge). He also has many years experience in the art of vegetarian cooking through working in numerous temples and restaurants in Australia. Currently, he works as an international Vastu specialist. He provides high quality consultancy services for small to very large businesses including holiday resorts, five star hotels, government establishments, health clinics, small to large offices, warehouses, factories, commercial kitchens, shops and private residences and may also guide the design and construction of a completely new building. 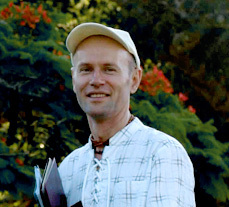 Shastra currently lives in Kuranda (near Cairns) QLD, Australia.